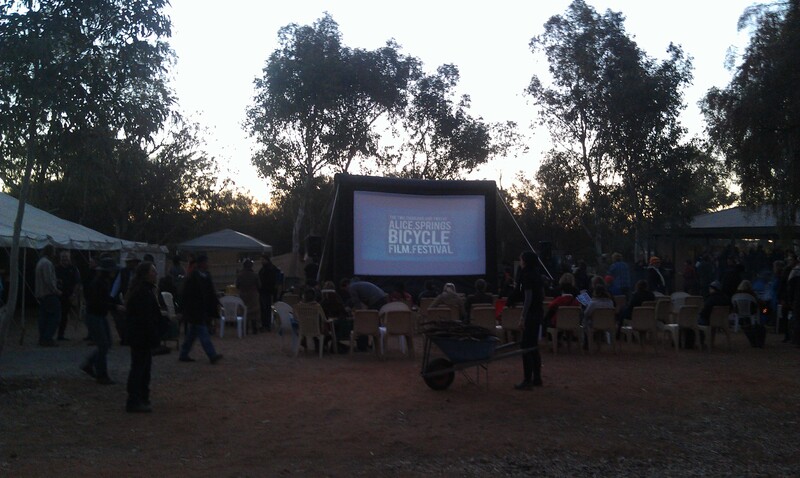 Last night was the Alice Springs Bicycle Film Festival, which was held as part of the Alice Springs Ecofair. The outdoors festival was one of the most relaxed film festivals I’ve been too and deserves recognition for how good a show they put on. 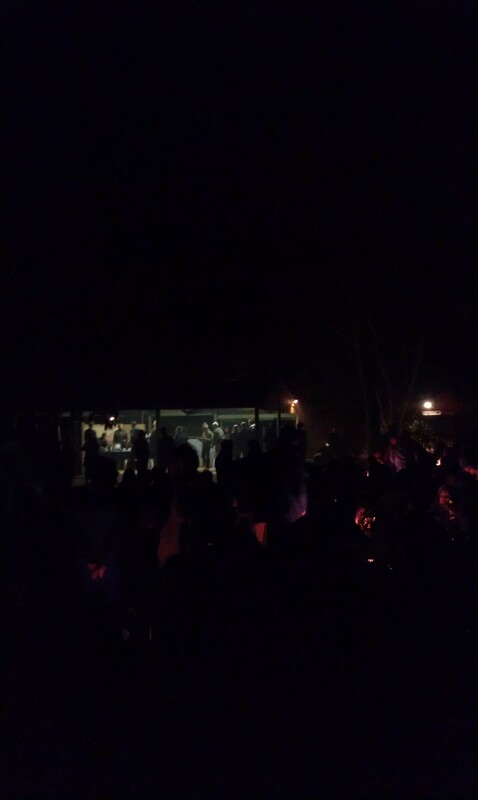 Held in the Olive Pink Botanic Gardens the films were projected on a giant inflatable screen, while views sat on chairs around fire drums and and braziers to stave off the cold Alice Springs night. With a selection of international and local films the quality of all entrants was amazing. The local entrants were great not only for the quality but because most of the characters and film makers were in the audience and were happy to have a chat. Being a significant event ABC Open correspondent David Nixon went to the event and took some awesome photos! (he will probably write stuff too…) He took this shot just after sunset as the stars came out and the crowd continued to swell. 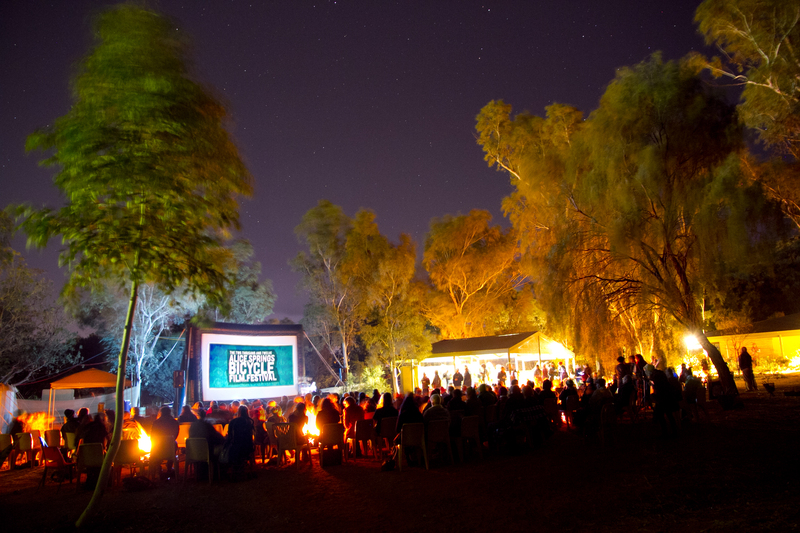 The Alice Springs Bicycle Film Festival drew huge crowds who watched international and local films by starlight and braziers.